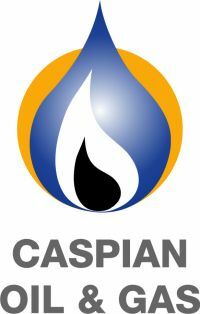 Caspian Energy International Media Group has become a general media partner of the 22nd International Caspian Oil & Gas 2014 Exhibition and Conference organised by the British company ITE plc and its exclusive partner in the Caucasus, Iteca Caspian. “For over 20 years Caspian Oil & Gas Exhibition and Conference has been a major oil forum of the region. The fact that Caspian Oil & Gas is hosted yearly proves the keenest interest of the world community to the oil and gas sector of Azerbaijan. 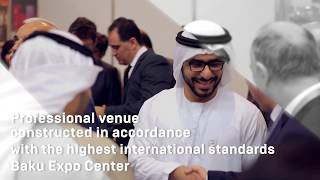 Being strongly committed to having the exhibition and conference organised at the highest level, we do cooperate with the largest and well-known companies and publications. Caspian Energy is one of such publications. For years Caspian Energy has been one of our permanent partners. At the same time they actively participate in ITE exhibitions and conferences abroad, for example, in Georgia, Kazakhstan, Turkey, Russia and EU. For many years Iteca Caspian LLC has been a member company of the Caspian European Club. The fact that Caspian Energy has again become a general media partner of Caspian Oil & Gas is the result of our years-long cooperation. We are pleased to see Caspian Energy among the partners of the Oil & Gas Exhibition and Conference and wish successful work at Caspian Oil & Gas 2015”, said Iteca Caspian LLC Director Farid Mammadov. “It is a great honour and high responsibility for us to be a general media partner of the largest oil and gas event in the region, Caspian Oil & Gas 2015 Exhibition and Conference. We are particularly pleased that in 2014 we celebrated the 15th anniversary of the Caspian Energy journal and throughout these years we have been the active participants and partners of Caspian Oil & Gas. ITE is a general exhibition partner of the Caspian European Club and Caspian Energy International Media Group. Just like in previous years, a traditional issue of the Caspian Energy journal dedicated to Caspian Oil & Gas will be released this year as well. It will cover key developments of the oil and gas sector of the Caspian-Black Sea region, include interviews of ministers and experts as well as publications of industry-leading companies about achievements and implemented projects ”, CEO of the Caspian European Club Telman Aliyev said.